The ladies' 10kt white gold engraved stacking ring is 3.2mm wide. 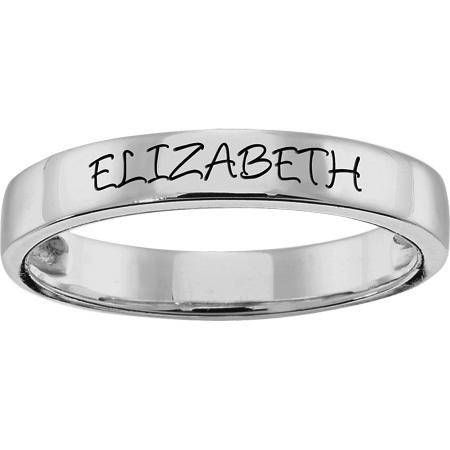 Engrave up to 20 capital letters in the center of the ring. Ring is available in whole and half finger sizes, 4-10. Standard fit. Antique finish. Enter your year. Backdates cost an additional $20.